On the basis of these differing needs, our aim in the project of the ''Mami'' fondue set was to create a truly complete system of objects for all apects of this type of cooking. 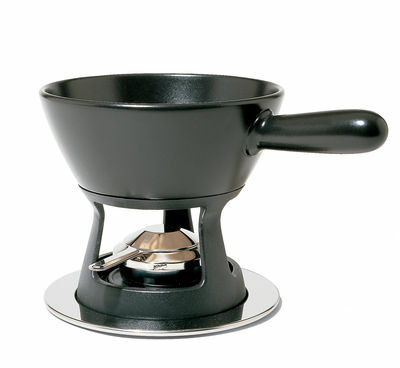 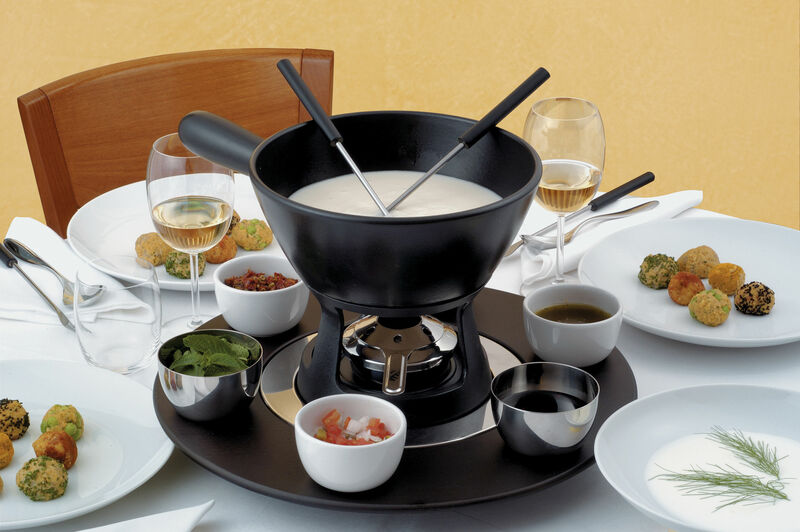 In fact, the small tray base and with heat diffuser plate complete with burner is combined a traditionnal stove-top ceramic casserole, ideal for cheese and and for chocolate fondues. 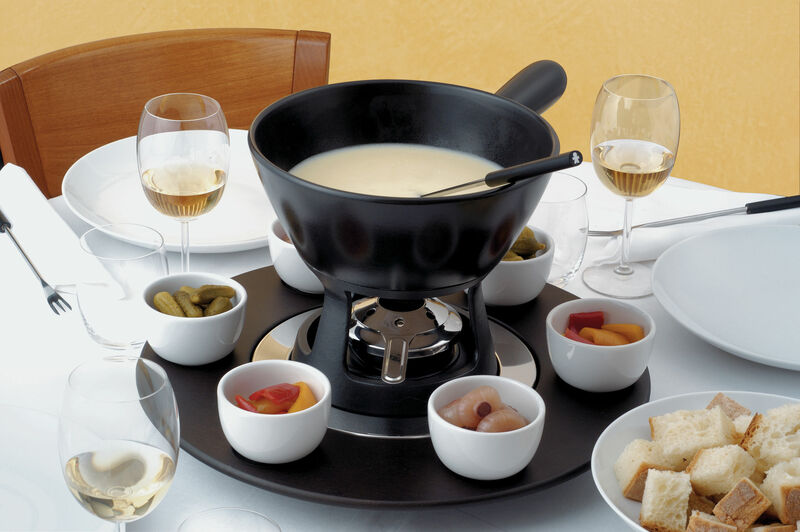 You can complete it by a classic, long-handled steel casserole, with heat diffusing base, typical of the Bourguignonne fondue.